Thanks to our decision to use domestic suppliers, we get incredible turnaround time on our parts. I ordered this mock up template on Tuesday, received in on Thursday. Even I was shocked to see such them fill an order so fast. The supplier has vast experience in building products for NASCAR, IndyCar, and Grand-Am, and now I see why. 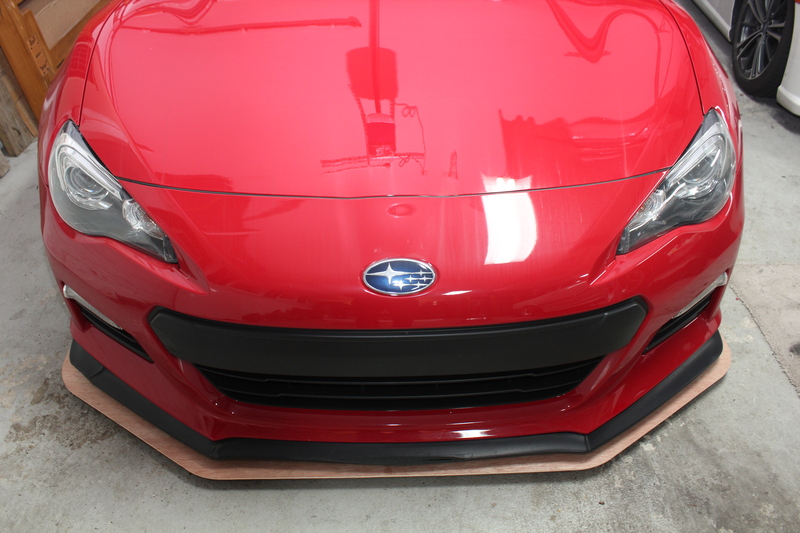 The front edge was a bit short so it will be further out in the production model. 2. It’s light. It’s density is .78 g/cc, less than half of that of carbon fiber. 3. It’s tough. So tough, it can be used as ballistic armor. It also doesn’t splinter or shatter like carbon fiber. 4. It’s resistant to abrasion. It wears similarly to aramids. 5. It’s easily machinable. It allows us to put recessed holes to keep mounting fasteners out of the clean air stream. 6. It’s fully recyclable. Since the material is made purely of plastic, if and when it breaks, if the part is no longer salvageable, you can place the material in the recycling bin. This helps reduce waste energy. 7. It’s (relatively) cheap. It is about a tenth of the price of carbon fiber. 8. It’s a proven material. NASCAR, IndyCar, and Grand-Am cars use this material for various purposes (splitter, skid plate, etc). 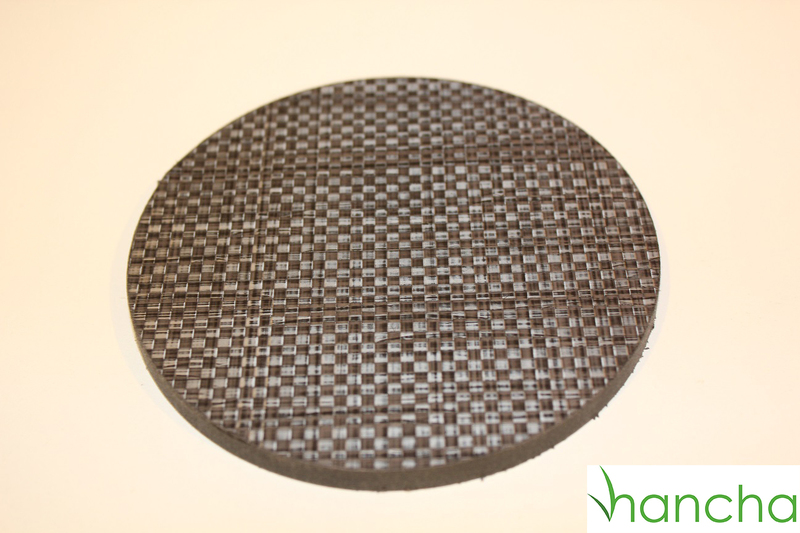 This is why we have chosen this material. We are firm believers that this is currently the best material available on the market to produce splitters. 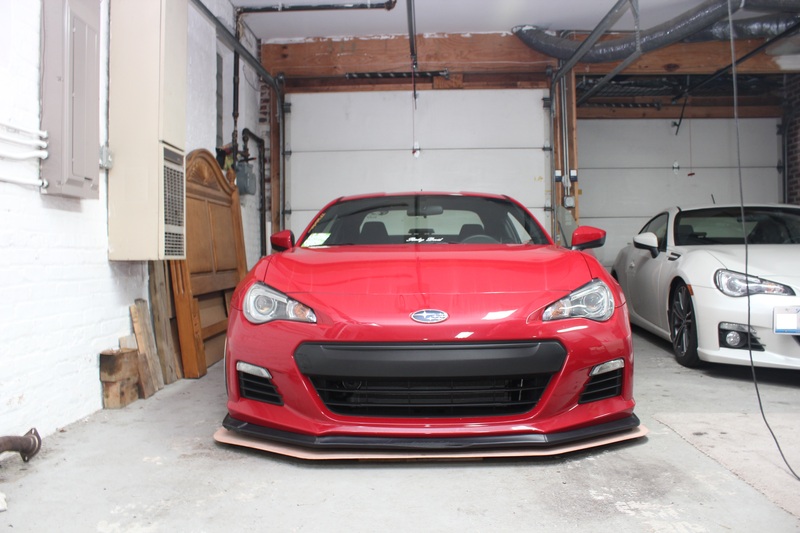 This entry was posted in Aerodynamics, BRZ, cfd, FR-S, GT86 and tagged front splitter on April 19, 2013 by Earl. Just was wondering, where did you get this composite Polypropylene plastic? Sounds like some good stuff! Power Stream Industries, please visit our strategic partners page for a link to their site. Awesome Earl, thanks for the quick response!